At 8-0, Georgetown is one of the last remaining unbeaten teams in college basketball. That should sound impressive, but probably nearly 100 teams in the sport would go unbeaten if they played the same schedule. The Hoyas have played Jacksonville, Mount St. Mary's, Maryland Eastern Shore, Richmond, Maine, Coppin State, Howard and North Carolina A&T to start the season. None of those teams even rank in Kenpom's top 200. The only thing we can gather from this schedule is that Georgetown would probably win the MEAC title. According to Pomeroy, this is also the worst non-conference schedule he's seen since he started using advanced metrics in 2002. This schedule is historically bad. 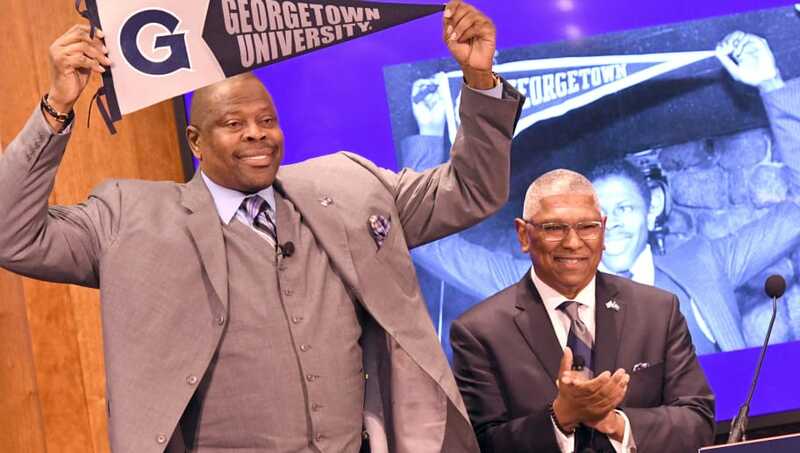 With the selection committee putting more emphasis on non-conference play and road wins, you would think Georgetown would want to get with the times. This is a program that has seen a steady decline since reaching the Final Four in 2007, so you'd think they would schedule some tough teams to get back on track. Well, that didn't happen. Usually, being undefeated in mid-December is an accomplishment in college basketball. Georgetown has made a mockery of that accomplishment by playing more cupcakes than you can fit in an oven. There should be an asterisk next to the Hoyas start because their schedule is so bad.